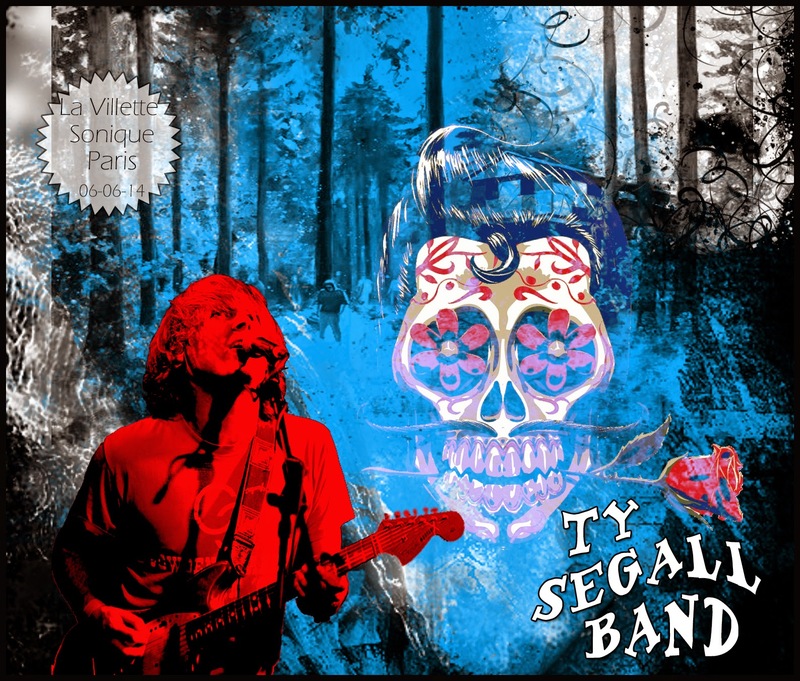 October was the month of my first Ty Segall gig. A long awaited date and a red-letter night no doubt. More, buy one, get two : the young Californian gifted man was sharing the stage with the thunderous Triggerfinger ! That was quite a thrilling deal !! You can't get enough of the Belgian power trio and even it was my third encounter with the shooters within 3 months, they still ranked first that night on my wishing list. I felt a bit muzzy and hazy about Ty Segall, being lost in his prolific album & EP releases and his fecund multifaceted incarnations. Even if I kept up with the man, I didn't really know where to start from and I had eventually turned lazy on his production. I was wrong ! What we attended that night was a real electric blitzkrieg pouring down hard on us !! In the middle of this fuzz-glam-garage-punk storm, the great synthesizer wizzard, Ty Segall in his dungaree, shouting, wriggling and trying to tame his wild uncontrollable guitar. Really impressive !! Definitely one of the most electric blast with such a variety I've seen this year. I've included some parts of that gig as extras on the dvd below but the big chunk is made of the special psyche-garage night that was held at "La Villette Sonique Festival" in the early days of june in Paris. That night, Ty Segall Band were playing along with The Coachwhips and Man Or Astro-Man. With such a line-up and as it is clear and obvious all the way on this dvd : the music is loud, the atmosphere is sweaty and the shoes of the man standing next to you are flying high in the moshpit ! "This file is no longer available due to an unexpected server error. If you are the owner of this file, it will need to be re-uploaded." 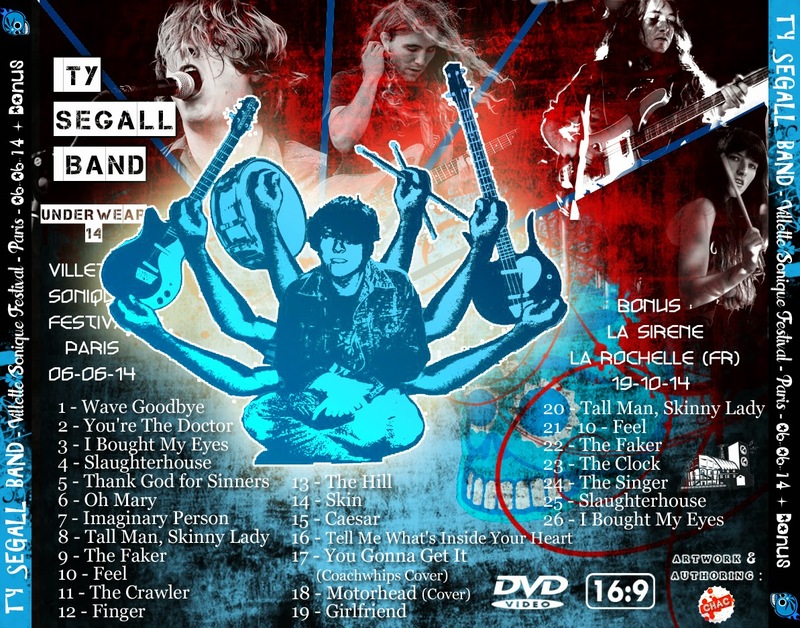 Could you please check again or simply text - send me the missing Ty Segall Band - DVD.part16 link? 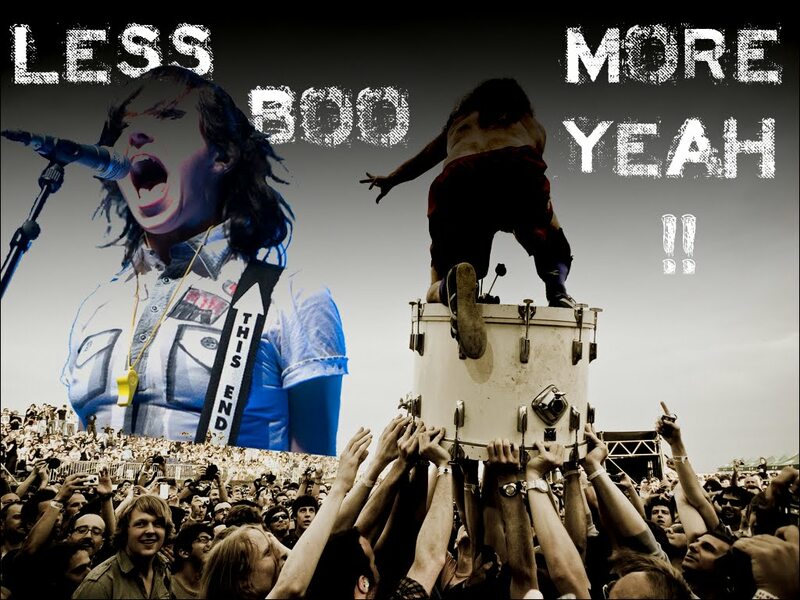 Well ... the problem is even scarier than that ! The whole web server is down, meaning all the other links are as well !! I hope it's just temporary !! Hope it will top your previous downloads nicely ! Hi Chac and a big THANX for your interrest!!!!! The link topped my previous dls just fine so now it's time for me to enjoy one more of your fantastic presents!!!!! I think the problem was indeed temporary, because I tried the links button now and it works just fine!!!! !